Activists of the Hyderabad city Congress leaders are scrambling. Leaders are burning Fire on the attitude. Activists are angry that they are silent for four years and are now doing well. The leaflets printed on the style of the Citi leaders are now creating sensations in Congress. The war of leaflets is going on in the Congress. Activists who are deeply angry at party leaders' attitude were published pamphlets on the style of hyderabad city. The names of the unknown people on the style of Hyderabad city Congress leaders were published by the printers. The pamphlet printed on seven important leaders has now become a debate in Congress. This secret worker was wiped out by V. Hanumanth rao, Danam Nagender, Mukesh Goud, Anjan Kumar Yadav, Marri Shashidhar Reddy, Vishnuvardhan Reddy and Vinay Kumar. The pamphlets were printed by explaining the style of the leader. The twin towns were relegated to the form of the Congress party activists. The senior leaders dashed in the pamphlets that they do politics without going into the public. He has been criticized for not having worked for the party at the time of his hard-running term. Senior leaders are saying that they cannot even hold a meeting with hundreds of activists. They have been fired in the pamphlet. Senior leader V. Hanumanth rao alleged that the BJP is the leader of the party. He said the deposit in the constituency did not come as his national level leader was criticized for being wretched. Greater Hyderabad Congress president Danam Nagender was also pumped into leaflet. In the form of patriot, the KRRs had to lose their status to join the TRS. He demanded in a pamphlet to make it clear whether he was in Congress or not. Former minister Mukesh Goud has been picked up at the pamphlet on top. KCR Ramesh Mukeshgoud is not taken into the TRS. Anjan Kumar and Marri Shashidhar Reddy suggested that the party should work for the party anymore. 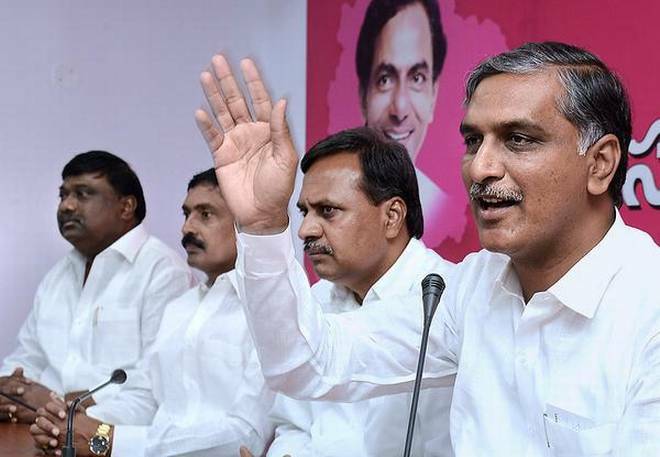 The young leader, like Vishnuvardhan Reddy, was also wrong in the tampering that he was sitting on the TRS government. The leaflet on Hyderabad leaders is now halting on social media. There is a widespread debate in the party too. But the victims are concerned about who is behind this pamphlet.